Redline's Alise Post wins Pro of the Year! "Such a strange feeling that i am about to go up to staging for my last pro race today. After 15 years of racing pro I have decided to reclass to amateur and have more fun racing my bike. I love being a pro but i have learned it doesn't matter what my license says to be a coach and that is where my real passion for BMX is. I feel hypocritical not practicing what i coach but I simply don't make the time for myself when my passion is giving so much to others and watching them succeed. I wanna take BMX back to basics and switch things up. Throwing away the disco slippers and going back to my roots with flats and stop taking the sport i love so serious and go back to the reason i started this 25 years ago at Bensalem BMX in Philadelphia, PA. Be on the lookout for my signature flat pedal coming soon in 2016. 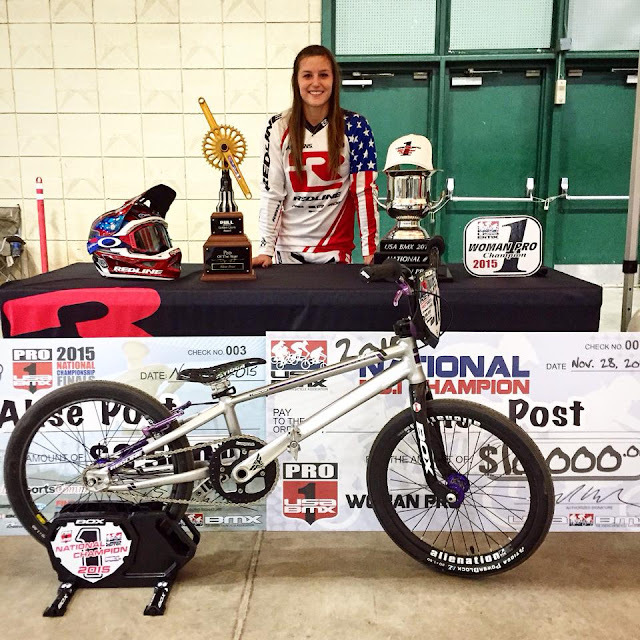 My focus next year will not be any different, i will continue to grow the sport of BMX and help make things better for girls to succeed. I will still be a coach to inspire, motivate and educate riders to ride at their full potential but im looking forward to having some more fun on my bike. Thanks to my sponsors for always sticking by me i am beyond thankful for how much they spoil me to truly do what i love! I am so stoked for my 2016 season! Lets have some fun.... braaaap!‬"
Tell me about how you started riding, who influenced you to even try BMX for the very first time, and what was your first trick? 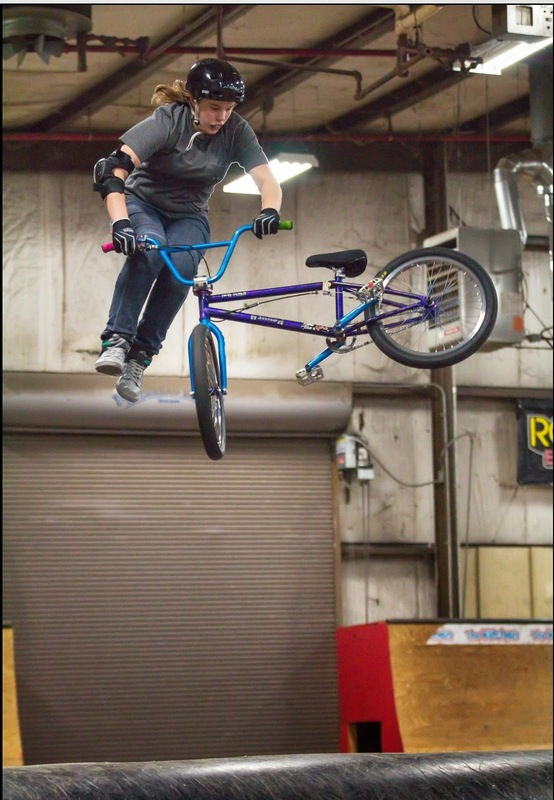 I had a chance to go with my cousin a couple of times to Muncie Skatepark and with that, my cousin Brett Banasiewicz inspired me to start riding BMX. I watched him when I was younger and I wanted to be like him and ride with him. 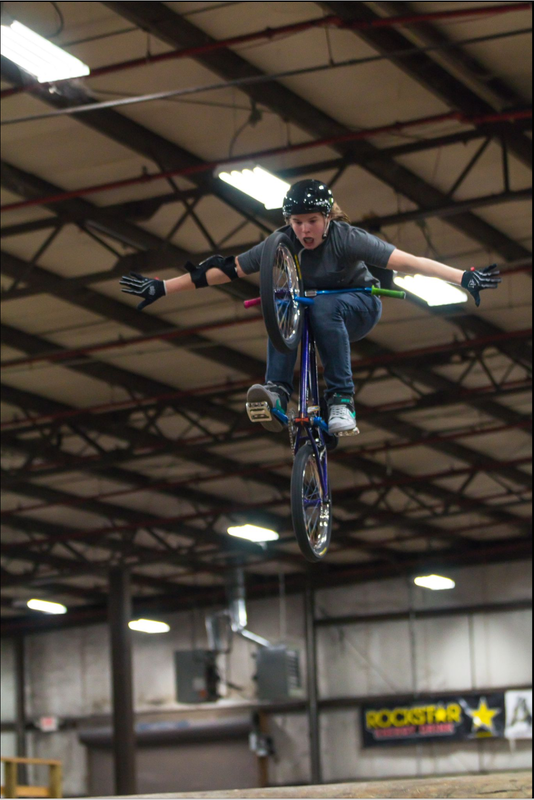 My first trick was a tuck no hander. If you had to explain your style of riding, how would you describe it in 5 words? 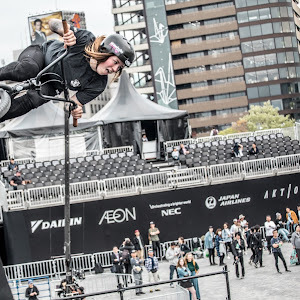 When you’re in school, what do your friends think about you being involved in BMX? Do they even understand or appreciate it like you do? I was fortunate enough to be able to do a stunt show for my school. Before that they thought it's just riding a bike, then after the show they thought it was interesting, but they still don't understand how hard it is. What’s the biggest misconception about you? How do you deal with it? The biggest misconception is I get under estimated due to the fact I am a girl. I try not to pay attention to that and ride the best I can whenever I can. It doesn't matter to me who I ride with. I like to ride with people that are better than me to help me progress and to have a great time. Monday and Tuesday I have off, but Wednesday- Friday I ride about 5 hours each day, and Saturday and Sunday I try to push it to 8 hours each day. The support of my family is huge when it comes to BMX. 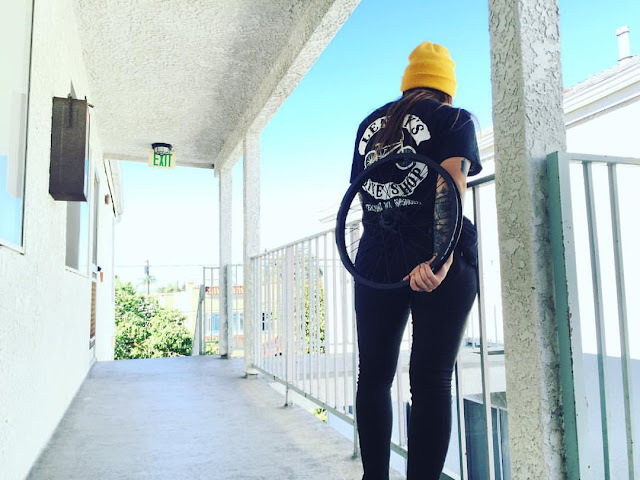 My dad drives me to as many contests as he can, and my mom and my sisters take me to the skatepark because they know how important BMX is to me. Being around supportive and positive people, plus listening to music also helps me get motivated to ride my bike. Radney is a ONE of a kind rider. He is the rider that always has the best time no matter what. Between him, Rich Hoppe, and Chris Gerber, they have influenced my riding in some way. They taught me some of my style and tricks as well as no matter what, to just to have fun. They all told me at one point "If it's not fun, you're doing it wrong." 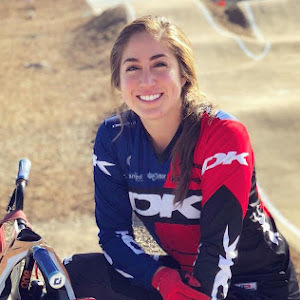 Angie Marino is one of my favorite girl riders because I have had an amazing opportunity to ride with her, and she is just an amazing spirit. Also I like Peta Sheppard. I have watched all of her videos and I can not wait for the day I get the opportunity to ride with her. What’s in the future for Hannah Roberts? Your career, BMX and life plans for example. In my future I want to go to college. I'm not sure where or what I want to study in yet. 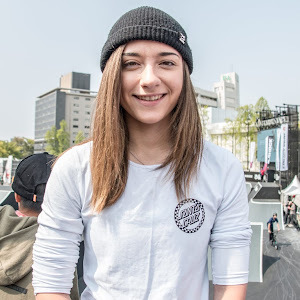 As for BMX, I want to take it as far as I can and I really want to go pro and see the world. 3. Break an arm or break a leg? Hopefully neither but I would rather break a leg because I get to ride on the knee scooters and I get helped and don't really have to do anything. 5. Wood or Concrete? I don't have much experience with concrete so wood. Great news for Sarah Lampert, she writes "Okay so I have two V cool announcements. First I am stoked to announce I will be riding for @lennysbikeshop back from the home state. Also I am joining the free coaster gang thanks to ‪#‎lennysbikeshop‬ for helping me get my wheel all sorted out. Also shout out to @tippulsbmx as well!" This is being made possible by "Pedal Attire" and "Kimberly's Art"
This will be a fun relaxed environment with the hopes of inspiring more girls to get into the sport. In the spirit of things we will have several local business vendors including food and music owned by women. Contest will be held at The Nowear Compound 855 N 18 rd Undailla, NE 68454. 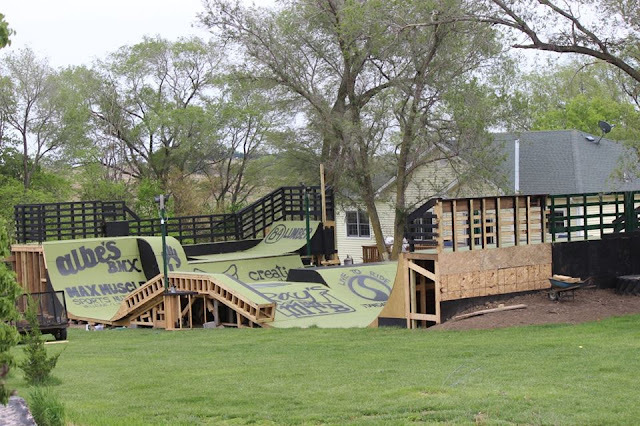 Runs will be on the outdoor ramp park but just in case of bad weather we also have a smaller sized indoor park as well. Boys and girls of all ages are welcome to attaend and ride that weekend. However, Saturday from the start of practice til the contest ends the outdoor ramp will be reserved for just the females. Nowear has 6 different fun spots to ride so there will be plenty to do for everyone even during the comp. There are also hotels near by for those not into camping I will post links soon. Sponsors will be added to the flyer as we go. If you intersted in helping with the event or becoming a sponsor please email us at nowearera@gmail.com or call Karl direct 402-875-3344"